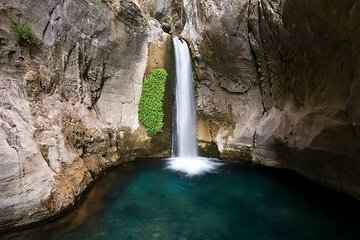 Tackle the rugged terrain of the Taurus Mountains by jeep as you journey to the serene Sapadere Canyon on this full-day tour from Alanya, including lunch. Spend time exploring the scenic canyon on foot, visit the atmospheric Guceler cave and cool off with a swim beneath the falls. Excellent tour. Brilliant, funny and friendly guides. Great transport, fluent english speakers, great food and overall had a great experience with 2 kids. Can't fault my trip. Highly recommended. Far from the expected nature trip. Loud music in the 10 jeeps following one another. Could have been nice canyon but with pipelines in the middle. We were picked up by an old old jeep, and as old driver ! And we did not expect much of this trip. But it was ther most fantastic day. Because of the team in Rambo Jeep Safari ! And we did get some very good pictures of the day.